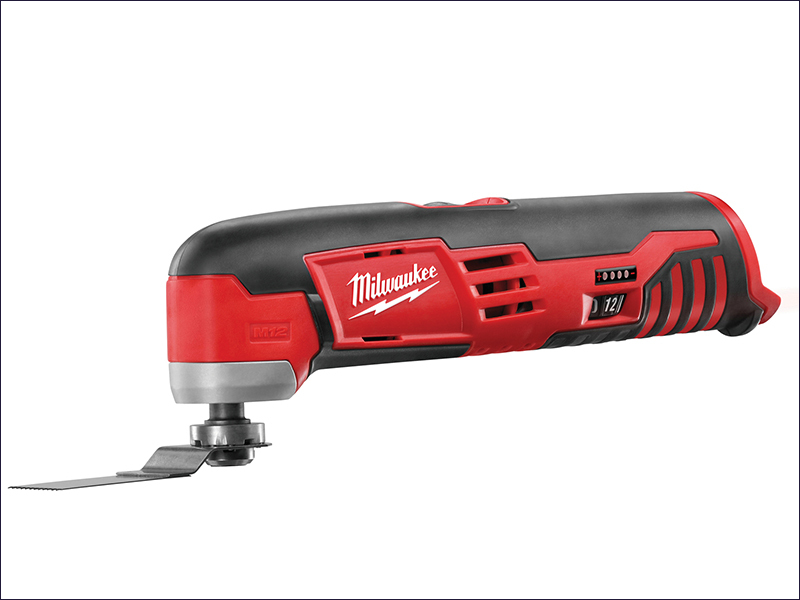 Milwaukee C12 MT Compact Cordless Multi Tool is a versatile cordless solution for cutting and removal applications. With REDLINK™ overload protection electronics in tool and battery pack deliver best in class system durability. Variable speed (5000 - 20,000/min) and 1.5° left/right oscillation movement allows quick completion of professional applications into materials such as metal, wood and plastic. Individual battery cell monitoring optimises tool run time and ensures long term pack durability. Fuel gauge displays remaining charge. C12 MT-402C: 2 x 4.0Ah REDLITHIUM-ION™ Batteries. Supplied with an adapter, plunge cut blade OSC 112, sanding backing pad, 5 x sanding sheets. Naked Version, no batteries or charger.